Tres Mujeres: New Videos Show Depth Of Latina Musical Expression : Alt.Latino We highlight Cuban hip-hop, SoCal Mexican roots music, and Central American-inspired folk from Washington D.C. in this trio of new music videos. Nancy Sanchez took to Joshua Tree National Park to film her new video. 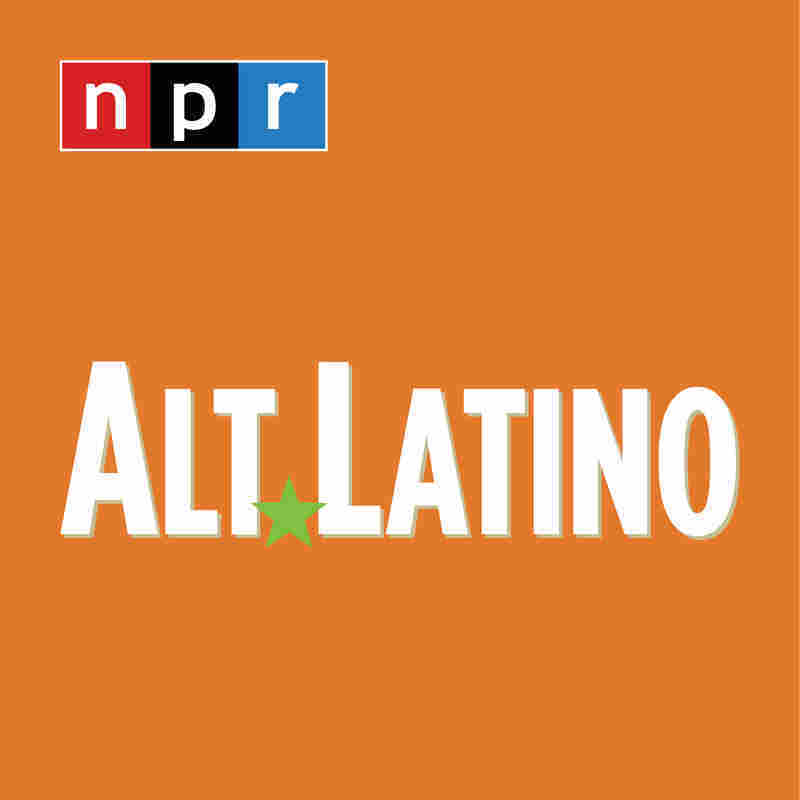 The joy of covering Latin music these days is the range of creativity. The vision of musicians writing the top of songs you'd never hear on commercial Spanish language radio. So let me introduce you to three artists, three visionaries, and all of them women. Vocalist and songwriter Nancy Sanchez has been collecting fans the old-school way: with one captivating show after another. I could describe her as a jazz vocalist, but she is one of those musicians who chooses to ignore categories and applies her jazz skills to Mexican folk on her latest record, American Novio. She premiers a new video here on Alt.Latino from her album for the track "Puerta Del Sol," which was shot in 112-degree heat and beauty of Joshua Tree National Park in California. The landscape isn't the only beauty of this track: it's an emotional meditation on reconnecting to her roots based on a Mexican son jarocho beat. My big regret this year was sleeping on the release of Cuban vocalist Danay Suarez's album Palabras Manuales this past spring. The album is the strongest statement yet of her stylistic range and "Tu Serás" is essentially a late-night jazz vocal with a subtle snare and ride cymbal. There is no explosion of Cuban percussion — instead, it's nuanced and swings like a classic Basie blues. Elena Lacayo lives in Washington D.C. and is a former immigration policy analyst (it's D.C., OK?) who gave up her day job to pursue her music full-time. There is no question about where her loyalties lie in her politics or her music. The band's new video for the song "Ponle Fin" ("Put An End To It") is a fist-raising call to stand up to racists, homophobia, immigrant bashing and all manner of intolerance. The group's new album, Volcan, is due out Oct. 20.